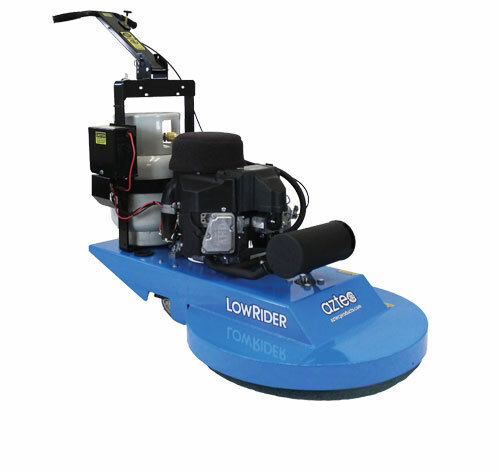 New Aztec LowRider 24" Propane Burnisher - Ultra Low Profile: 3 ¾"(10 cm) for burnishing hard to reach areas. This rugged walk behind floor burnisher is equipped with a patented solid steel body, 18 HP Kawasaki engine, and a key start and catalytic muffler. For more info on the Aztec burnisher, call us 888-504-6441.